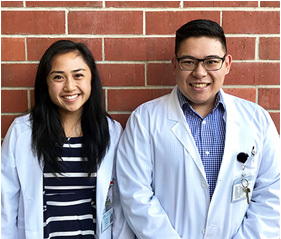 Welcome to the San Joaquin General Hospital PGY-1 Pharmacy Practice Residency Program. SJGH is a 196-bed teaching hospital located in the Central Valley of California, just south of Stockton and about 10 minutes away from University of the Pacific. It is the oldest county-operated hospital in California, and celebrated its 160th year in 2017. In addition to providing acute care services, the hospital operates both on-site and off-site clinics serving the population of San Joaquin County. In addition to the PGY-1 Pharmacy program, residency training programs offered at SJGH include Internal Medicine, Family Medicine Practice, and General Surgery. The hospital is also a primary clerkship rotation site for students from University of the Pacific School of Pharmacy. The program is designed to provide the resident with a year of intensive training in the areas of acute and ambulatory pharmacotherapy, as well as the opportunity to build skills in practice management, drug use management, communication, and education. The PGY1 pharmacy residency program builds on Doctor of Pharmacy (Pharm.D.) education and outcomes to contribute to the development of clinical pharmacists responsible for medication-related care of patients with a wide range of conditions, eligible for board certification, and eligible for postgraduate year two (PGY2) pharmacy residency training.